VMware will acquire CloudHealth Technologies as part of the vendor’s continued push into cloud-based software services. Unveiled during VMworld 2018, the tech giant will pay approximately US$500 million for the Boston-based start-up, sources familiar with the matter told Reuters. 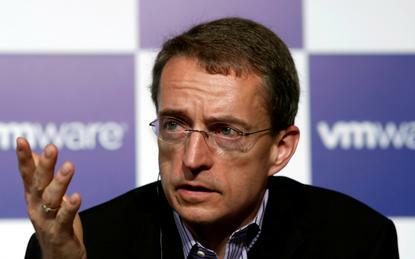 VMware will purchase CloudHealth for the company's cloud management platform, VMware CEO Pat Gelsinger told Reuters. That platform makes it possible for enterprises to control and analyse the costs, compliance and performance of their computing environments across their own data centres and public clouds like Amazon Web Services (AWS) and Microsoft Azure. He declined to comment on the price of the deal. VMware also announced a series of new cloud services, including an expansion of the VMware Cloud on AWS partnership with Amazon.com. Key to this strategy has been the VMware Cloud on AWS partnership that makes it simple for enterprises to transition onto the cloud. With the addition of CloudHealth, VMware is making it easier for its customers to manage services on other cloud providers, such as Azure and Alphabet’s Google Cloud Platform. Among infrastructure decision makers at enterprises, 91 per cent said they use two or more vendor's public cloud environments, with 19 per cent of respondents saying they use between six and nine, according to an April report by Forrester Research. Within the global cloud systems management software, VMware holds 21 per cent of the market, followed by Microsoft with 14 per cent, according to 2016 figures provided by research firm IDC. That market is projected to be worth US$5.4 billion this year and is forecast to reach US$10.1 billion in 2021, according to IDC. VMware expects the acquisition to close this quarter, the company said. Its immediate plans for CloudHealth include the integration of two of VMware’s existing cloud services, analytics tool Wavefront and security tool CloudCoreo. More services will become integrated over time, and CloudHealth, which has hundreds of employees, will continue to operate in Boston, Gelsinger said. Dell owns 81 per cent of VMware and considered combining the two companies earlier this year. Dell ultimately proposed to pay US$21.7 billion in cash and stock to buy back securities called tracking stock that correspond to its economic interest in VMware, partially funded through a $9 billion special dividend from VMware. Some shareholders in the stock that tracks Dell's stake in VMware may oppose the deal because they feel the proposal is too low and unfairly transfers value to Dell, sources have said, and a vote is expected in October.